The Sir Tom Finney Preston Soccer Centre is pleased to announce that the headline sponsor for this years’ annual Sir Tom Finney Tribute Evening will be Ashbridge Nursery at Maxy Farm Cottam. An exceptional new nursery school and childcare provision, Ashbridge at Maxy Farm, Cottam, is set in a rural location with extensive facilities and extends opportunities for children in the North of Preston to enjoy the benefits of a first class Ashbridge education. The nursery is part of the highly acclaimed Ashbridge Group, offering care and education across the age range, from three months to 4 years and beyond at their primary school in Hutton. In a vibrant new facility, Ashbridge at Maxy Farm has been developed to meet the needs of young children through a nurturing, active learning and forest school approach. Progress, achievement and enjoyment are key and experienced leaders and practitioners are enjoying working with families and supporting each and every child towards a brighter future. Tickets for this fantastic event are available now – click here for more information! 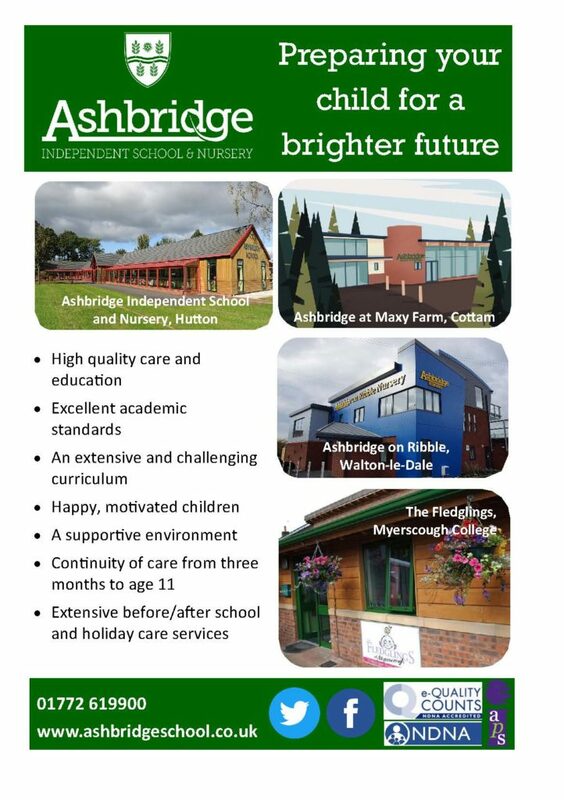 For further information regarding Ashbridge Nursery at Maxy Farm, Cottam please visit their website.